When I was a kid, I found a patch of lady’s slippers growing in the woods. They looked like fairy shoes, those little pink slippers. They were the most beautiful flowers I had ever seen. 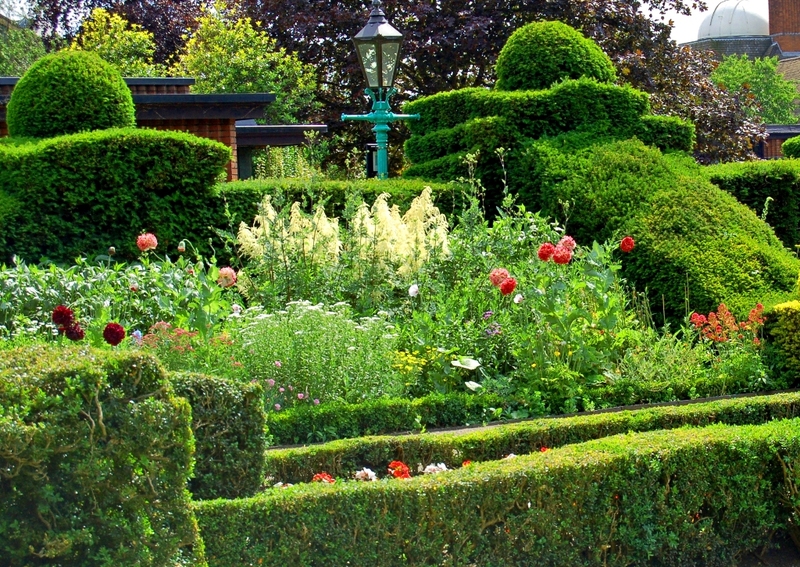 About the same time, I read The Secret Garden, by Frances Hodgson Burnett and I fell in love with the idea that one day I would have a garden, and it would be magnificent. I grew up and lived in apartments for a while, so I kept house plants instead. Now I have a house and a yard. A good sized yard, in fact. With lots of trees. My husband and I began by putting in rhododendron and azaleas and forsythia. Shortly after that, a gardening friend who was moving gave me clumps of day lilies, lady’s mantle, Japanese irises, shasta daisies, and various herbs: garlic chives, mint, and rosemary. And it was – if not yet magnificent – at least a lovely start. Then weeds poked through the wood chips I laid out. Some were scruffy and sporadic and easy to pull out, but that’s what gardening is about, right? Being outdoors, getting fresh air and exercise. I soon found out that there was another kind of weed encroaching on my dream. It was way more insidious. Tenacious and woody with roots that spread underground like an alien invasion. If I didn’t get them soon enough I had to hack the roots apart. But I persisted. For several years. And then, not so much, and the weedy vine took over. I eventually learned that what our yard was most proficient at producing was Oriental bittersweet, an invasive species that is all but impossible to get rid of short of using napalm. That was it for me. Still, throughout this past summer, I occasionally felt pangs of guilt over my poor gone-to-seed garden. I tried to remember how it used to look. I think it was because this year I was mostly home-bound without a car, and so many days were sunny and warm. But, now that October has settled in, and the trees are shedding their leaves all over our lawn, I feel less anxious. I’m an inside girl, anyways. There are bugs outside in summer. And I am fair-skinned and easily burn. Truth be told, spending time indoors reading, grips my heart more fiercely than the idea of gardening, anyway. So, when I get a hankering for the serenity of a lovely garden, I will content myself with visiting someone else who is more persistent than myself. Kensington Gardens in London – perfect example of a far grander garden than mine! 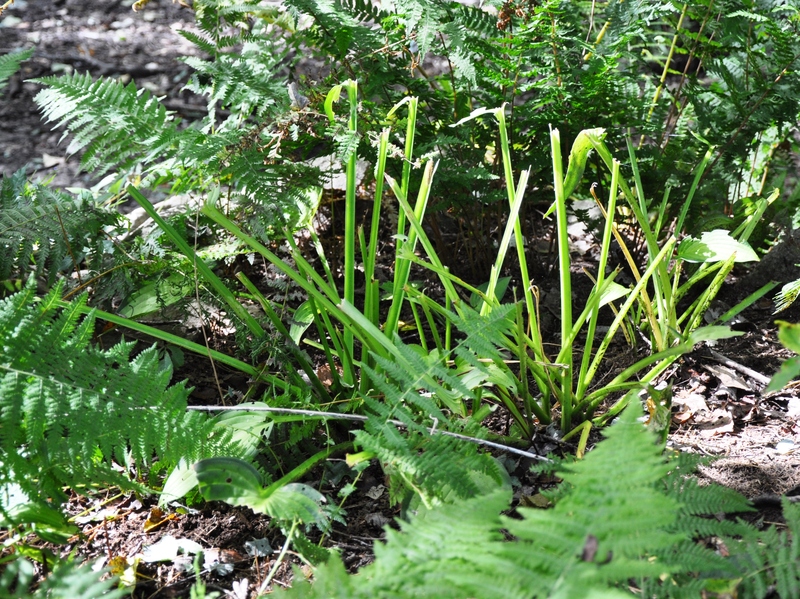 Hostas chewed to nubbins by deer or bunnies. We have wildlife wandering in our yard! 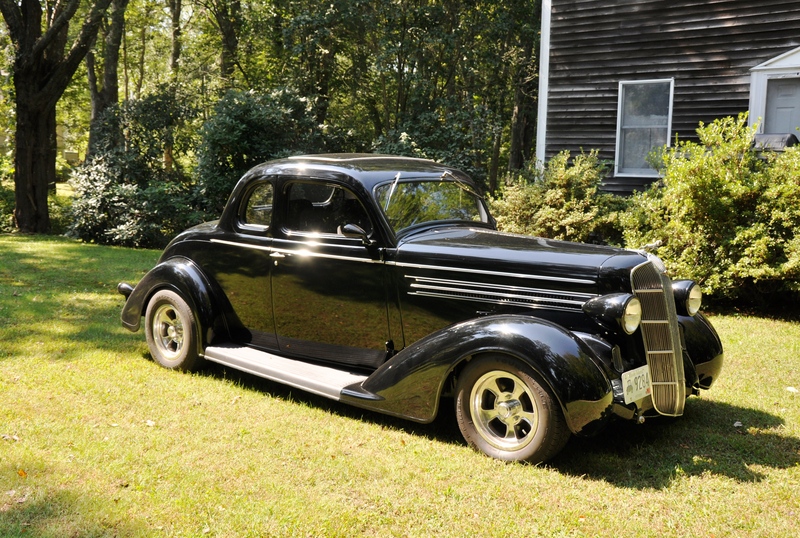 Where my husband likes to park his 1936 Dodge – in the middle of the yard. 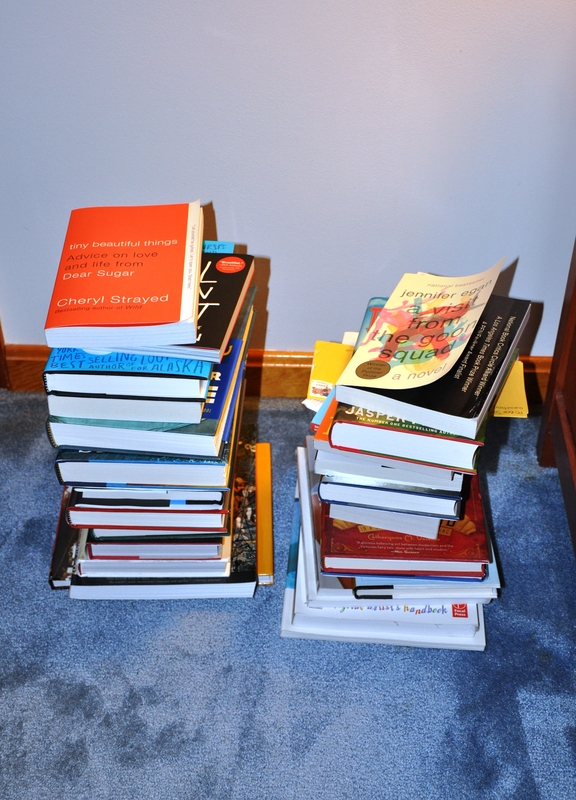 Only a couple of stacks of books beside my bed. There are many more stacks in other rooms.